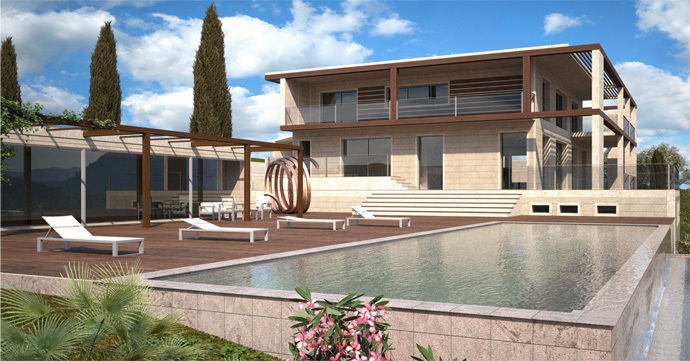 Article from plan to picture - Realistic-design, 3D and Web Design, Mallorca, Spain. 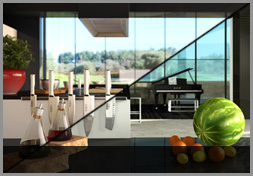 This article describes the different steps of a 3D visualization creation, from the required elements you have to provide up to the calculation of final renders. Note: quality of the plans is essential for a good process of the next step. detail addition depending of camera angles. Note: Clear and explicit plans are essential in order the shorten the modelling process. The materials (containing one or several textures melt in a heterogen way) defines the aspect of surfaces presented on your project. We take a particular care to supress all visible tiling effect once textures are applied on 3D volumes: it helps its realism. A scene once finished contain more than a hundred materials. We first definitively establish camera point of views retained for the staging, then valide it with you. 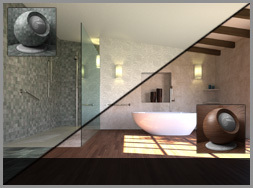 Note:a 3D photorealistic visualization is aimed to reproduce a photography or video taken with a camera. 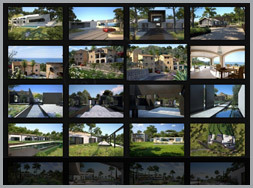 You can consider it as a virtual photography of your project. 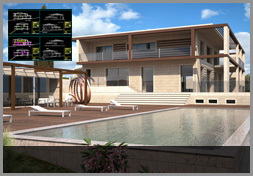 First, a preliminary picture is calculated in order to help do the last adjustments on the design and the materials. The software we use to compute the pictures allow us to produce high quality visualizations. The time required to render them is considerably long, that's why it is essencial to do a close study of the preliminary picture in order to detect all the changes needed to be done.